We are an interdenominational English-speaking Christian church serving the greater San Miguel de Allende, Guanajuato, Mexico community. 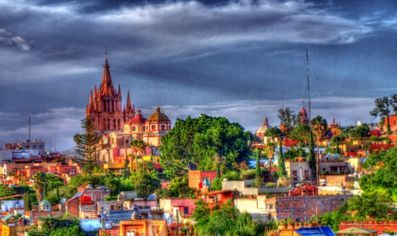 (Photo at left is overview of beautiful San Miguel de Allende). Our members come from diverse spiritual backgrounds including, but not limited to, Episcopalians, Presbyterians, Lutherans, Methodists, UCC's, American Baptists, Roman Catholics, as well as others but, ALL are welcome to the Community Church. We have Ministers-in-Residence who visit for a period of two months at a time - in lieu of having a full-time pastor. Because of our low overhead, we are able to give at least 50% of our donations to community outreach projects. All are welcome to the Community Church of San Miguel. Join us every Sunday morning at 9:30 am for a spiritual discussion with a lay leader and/or 11:00 am for the traditional service in the Smart Space event room, Salida a Celaya 34. See our LOCATION page for map and directions or call for more information: in San Miguel call: 154-6068. 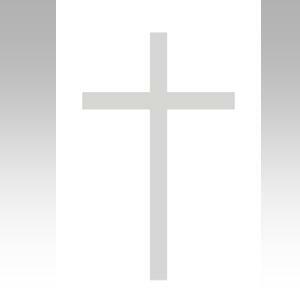 From the USA you can reach a church representative by calling 713-370-7892. On the third Sunday of each month, we hold a Taize Service at 9:45 (no spiritual discussion on those Sundays).